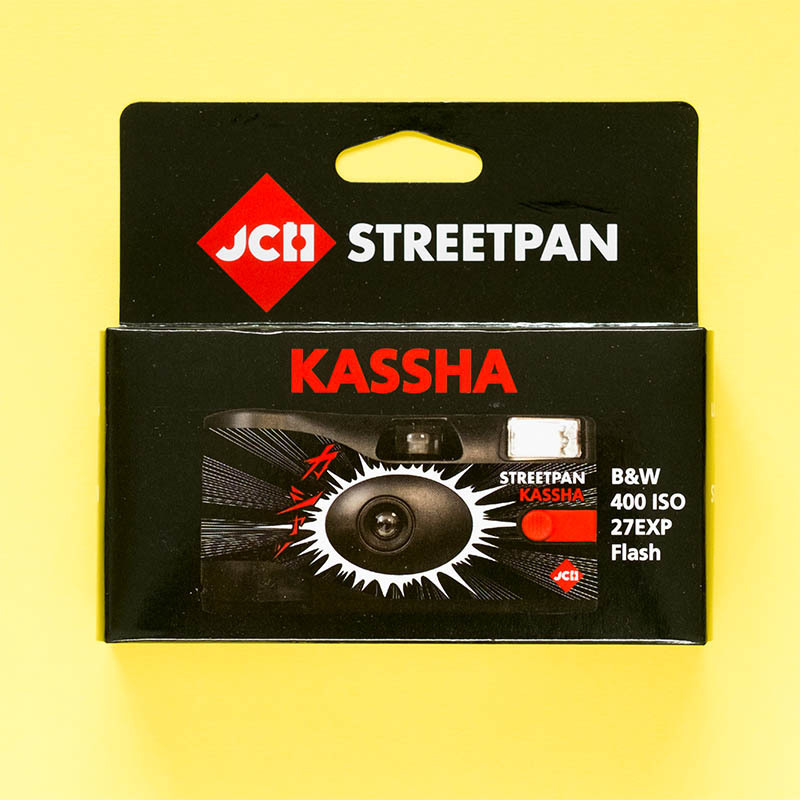 This is the JCH StreetPan Kassha 35mm Disposable Film Camera. A 27 shot camera loaded with lovely StreetPan. Kassha is an onomatopoeia and the Japanese word for the click sound of a camera shutter. The camera is a very simple disposable design, with a flash, a fixed focus 31mm f9/11 lens, and a very cool look. 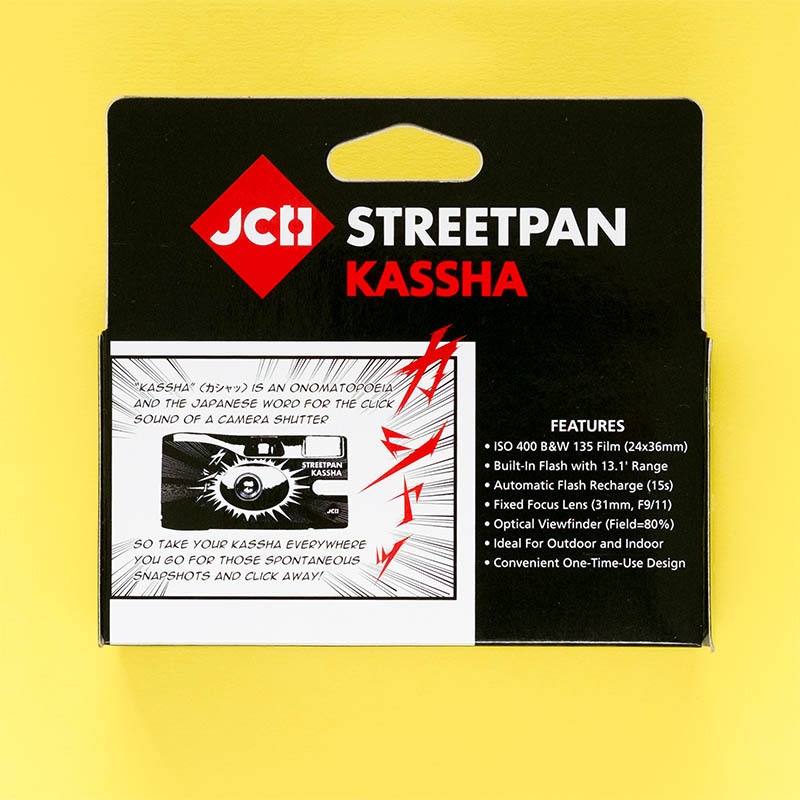 JCH StreetPan Kassha 35mm Disposable Film Camera are available in limited quantities as they are a bit of a headache for Japan Camera Hunter to make. So don’t miss your chance to run around shouting “Kassha” at everyone! JCH StreetPan film is also available in 35mm and 120 formats. Want to see some disposable film cameras in action? Then check out the results that George at Negative Feedback got in this video. If that inspires you, have a look at the other disposable film cameras we keep in stock. Want to see some of the different ways you can use JCH StreetPan 400? We have put together some of our favourite StreetPan 400 shots by our customers – you can see them here. And, if you want to see what we thought of it you can read our Japan Camera Hunter Film Reviews.